I've bought 2 sets of these tires over the last 10 yrs. I got 48000 miles out of the first set and I have 45000 miles on this set. They are a great all around tire. Excellent snow and wet, never hydro planed or lost control in any road condition. They aren't the best in heavy deep mud. It's the only time I got stuck. They are quiet on the highway but I have a diesel so... They are great for plowing. I will keep buying these until they stop making them. This is one of the best all terrain tires I have ever owned. I can go through sand, mud, rock, gravel, rivers, logging trails, mud, clay, everything! 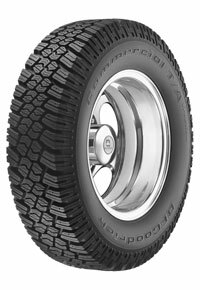 I would highly recommend as a high mileage all terrain tire.